Tell anyone you drive a 401hp estate car and it’s highly likely they will look at you with a slightly bemused expression. 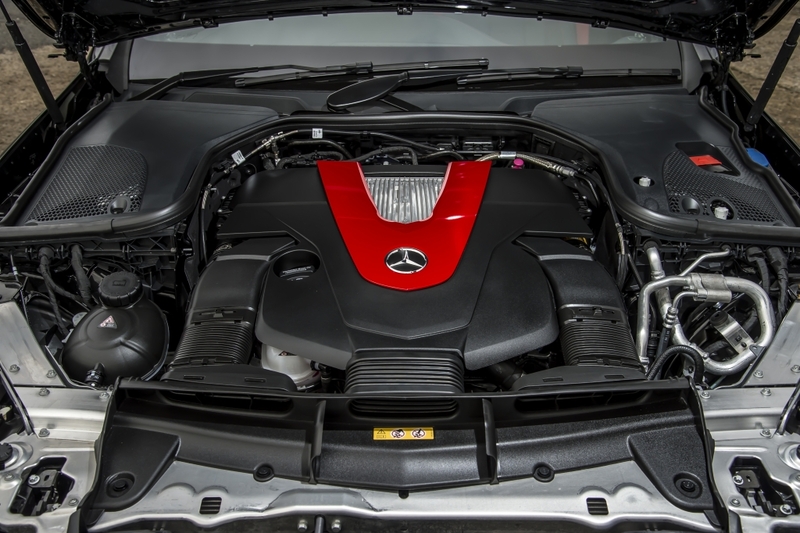 Yes, 401hp and a 0-62mph sprint time of 4.7 seconds is extremely impressive in a machine that’s capable of hauling the contents of a student’s flat but this is an AMG we’re talking about here. No. A V8 engine, which has been forged by Satan himself, should power it and anything with an AMG badge must consume rear tyres like Chris Hemsworth ingests chicken breasts. 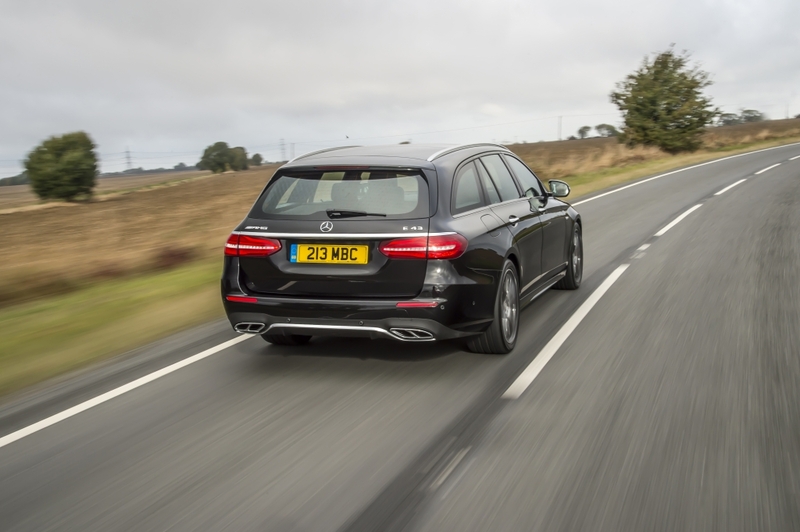 But it seems the chaps from Affalterbach are mellowing with age and its latest E 43 Estate not only eschews the rampant 600+hp 4.0-litre biturbo V8 engine found in anything with a 63 on the back, but it is also all-wheel-drive. And a teeny bit more affordable than its brutal siblings. In that respect, this thing remains an extraordinary car in its own right. The rear load space is nothing short of cavernous, the interior is finished with same exquisite detail as any other AMG product and the ride is perfectly suited to long motorway schleps. But it is when comfortably cruising along the motorway, optional Burmester stereo blasting away, that something feels amiss. The AMG badge has always stood for the utterly loopy and its current range of big estates and saloons possess the power to put the willies up even the most ardent, track-honed drivers. For a start, the soundtrack in the E 43 Estate is no way near as menacing as that found in its V8-powered counterparts. It burbles along nicely, serving as a reminder you don’t own a dull diesel, but the 4Matic all-wheel-drive system offers an almost nannying amount of traction. You’d have to be channelling your inner Ken Block to get this thing out of shape, whereas its 63-badged siblings will happily kick the tail out at the mere whiff of a corner. Really, the best thing to do here is park any notion of a loud and lairy E 63 (unless you’re going to wait for it to arrive) and view its lukewarm counterpart as exactly that – a staggeringly fast motorway missile that feels perfectly safe and composed at all times, if not completely lunatic. 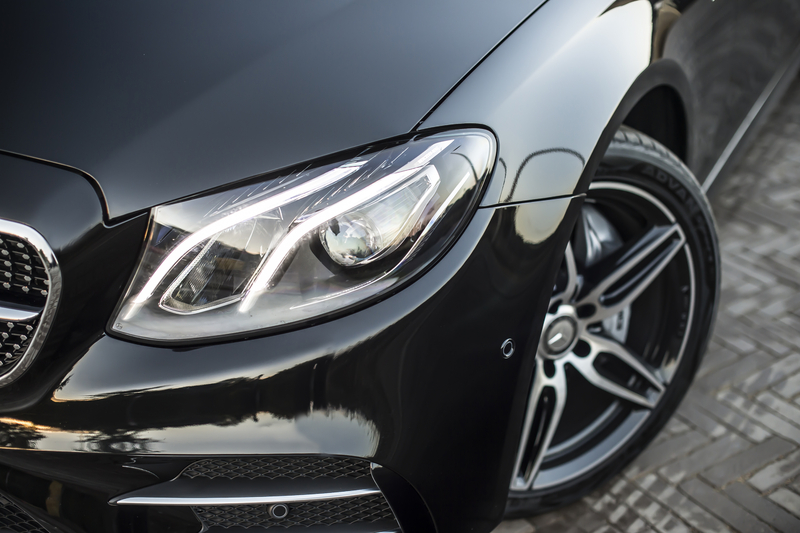 Even the styling has been dialled down a few notches, with the typically flared wheel arches and gaping intakes of the more powerful AMGs replaced by elegant lines, classy alloy wheels and a diamond radiator grille. It’s more difficult to spot the differences inside, with the typical carbon fibre flourishes, AMG badging and sports seats filling the cabin – although those thrones aren’t quite as track-friendly as those found in the C 63, for example. 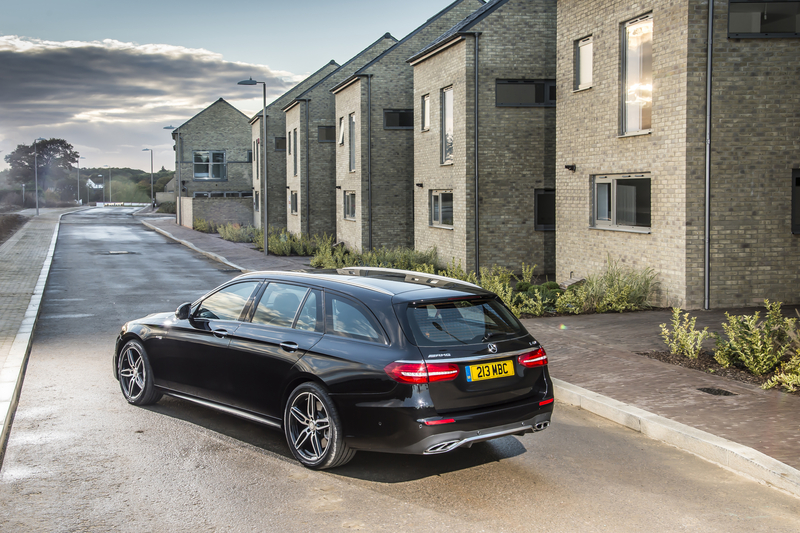 Prices start at £59,275, which is on par with the equally spiced Audi S6 Avant, and will likely be a good dollop cheaper than the full fat E63 Estate when that finally arrives. So for those on slightly tighter budgets and with little need for supercar-baiting performance, it is very difficult to fault the E 43. It is a stunning car to live with on a daily basis. But do you really want fellow Autobahn-annihilators thinking you can’t handle (or afford) the real deal? It is a question we couldn’t help pondering during our time with the car and one that could potentially gnaw away at punters.